In the next few sections of this article you will receive detailed information on the Orange County bail process. In order to make sure that you understand your rights completely, call the California bail attorneys at (877) 4-NO-JAIL. Do you have questions about posting bail in California? Wallin & Klarich’s team of criminal defense attorneys explain how bail works in California pursuant to PC 1269, 1276, and 1276.5. In order for you to be able to post bail, you have to either have the proper amount of cash on hand or post a cashier’s check for that amount at the jail. In some jurisdictions, you may be allowed to use a credit card to post bail. While cash is typically the easiest way to post bail, the amounts usually range from $10,000 to $100,000, making it very unlikely that most people will have that much money in their possession. As long as you attend all of your court appearances, your cash bail amount will be returned. However, some cases can last for a year or more, and you will not be able use or invest the money in any way. If you fail to appear at any court appearance, you may forfeit that cash bail (California Penal Code – Section 1305) and will not be able to get the cash back. If you post cash bail, it often takes from six to twelve weeks to receive the cash bail back from the county after the conclusion of the case. If you have posted cash bail and the accused fails to appear and the bail bond is “forfeited,” you will have 180 days in order to locate the accused and to bring him into custody, or to notify law enforcement to arrest him. If the 180 days go by and the accused is not returned to custody, your cash bail will be forfeited forever to the State. Most people will opt for posting bail through a bail bond since, as stated above, they do not have enough cash on hand to post cash bail. A bail bond is a contract between the accused and a bail bond agent. Under this contract, you promise to appear in court when ordered and the agent promises to post bail for you. You have to pay the agent a specified premium, which is typically 10 percent of the bail amount the court has set. This premium is not refundable, but can be reduced to 8 percent of the bail amount if an attorney refers the accused to the agent. So, for example, if bail is set at $100,000 and an attorney did not refer the accused to the agent, you will have to pay the agent $10,000, or 10 percent. However, if the attorney did refer you to the bondsman, you may only have to pay $8,000 to the agent – a $2,000 savings. If you fail to appear in court, the bail bond agent forfeits the bail money. Therefore, these agents will have a very strong incentive to monitor you and make sure you appear. If you fail to do so, it will be up to the agent to find you. In order for the bail bond agency to post bail on your behalf, an agent will typically require some sort of collateral to be posted. This can be a house, car, or anything of value you own. If you fail to appear in court, this collateral will be used to cover the forfeiture of the bail amount. Hiring a California bail attorney not only can help reduce the percentage you need to pay for your bail bond premium, that attorney can also act quickly to secure your release and help you find a reputable bail bond agent. Instead of posting a cash bond or paying the premium needed to hire a bail bond agent, you can post a property bond. This is where you post your equity interest in real property to ensure your appearance in court. However, the value of the equity must at least be twice the bail amount. For instance, if bail has been set at $100,000, the court must be satisfied that the equity value of the property that is to be posted as bail is at least $200,000. In order to obtain a property bond, the property must have been recently appraised, any liens disclosed, and the property equity be professionally estimated. The court will accept the property bond, and you will be released from custody, if it is satisfied there is enough equity in the property. If you fail to appear in court when ordered, the county will place a lien on the property. The county will then foreclose on the property to recover the amount of bail. Preparing a property bond – as well as submitting an official appraisal – can be very time-consuming. As a result, property bonds are rarely sought. However, if you do not have the financial resources to post cash bail or to pay a bail bond agent, a property bond is another avenue for posting bail. If the court is sufficiently convinced you will fulfill your promise to appear in court, it may release you on your own recognizance. No bail will be required, and you will be released after providing a written promise to make all court appearances. This typically happens in misdemeanor cases more than in felony matters. Speak to our experienced criminal defense lawyers today! You will need the help of an experienced California bail attorney if you or someone close to you has been arrested. Hiring an experienced criminal defense attorney before you pay bail could help you save thousands of dollars. 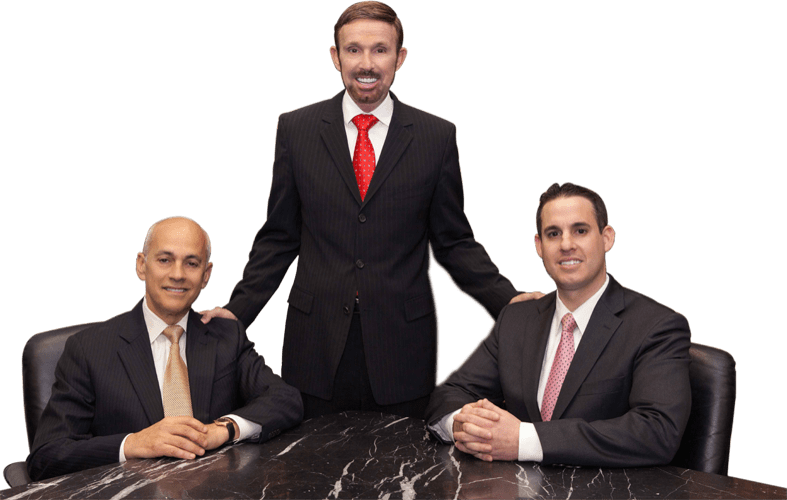 At Wallin & Klarich, our attorneys have aggressively represented clients in all phases of criminal proceedings – from the time of arrest to trial – for more than 35 years. We have offices in Orange County, Los Angeles, San Diego, Riverside, San Bernardino, Ventura, Victorville and West Covina. Our experienced team of criminal defense lawyers is available to help you no matter where you work or live. If you would like to speak with one of our attorneys, please call (877) 4-NO-JAIL or (877) 466-5245 for a free phone consultation. We will be there when you call.